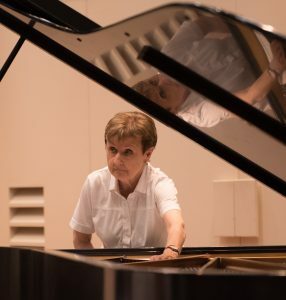 A graduate of the Paris Conservatory and Indiana University, pianist Francoise Regnat has performed extensively throughout the United States. Her solo, orchestra and collaborative performances have taken her to such venues as New York’s Alice Tully Hall and Hunter College, Boston’s Gardner Museum, Orchestra Hall in Minneapolis as well as colleges and universities across the country. She has appeared at music festivals in new Hampshire and in Banff, Canada. In California her concerto appearances have been with the Los Angeles Chamber Orchestra, the Santa Barbara Chamber Orchestra, the Mozart Festival in San Luis Obispo and the Pasadena Symphony among others. Her recording of the Franz Liszt complete works for violin and piano on the Orion label won the Grand Prix International du Disque Liszt in 1977. She can also be heard on the Centaur label as a member of the Primavera Trio. She remains a very active collaborative artist and is currently the pianist of the TEMPO New Music Ensemble. 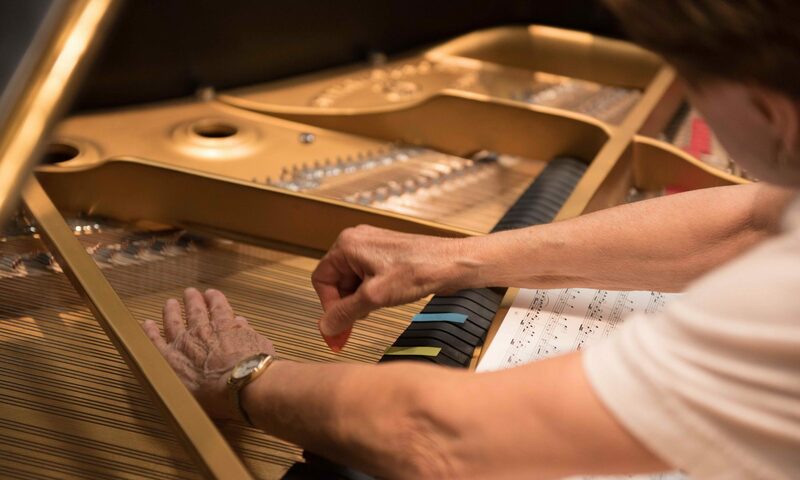 Ms. Regnat is Professor Emeritus of Music at California State University, Northridge where she was on the faculty form 1972 until 2010.